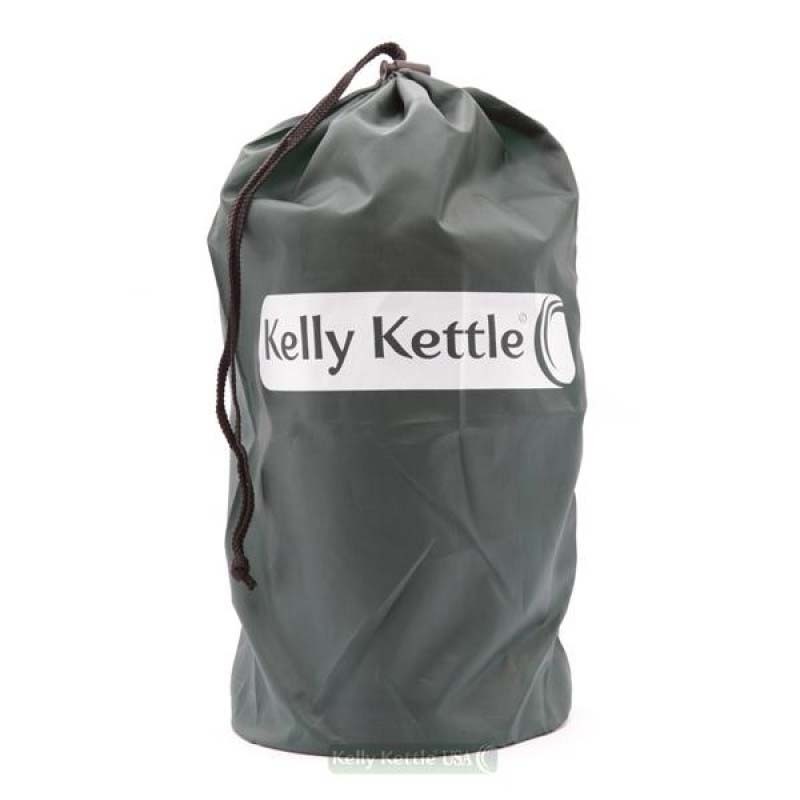 This Kettle boils 1.2ltrs (approximately 3.5 Mugs) of water at a time and is ideal for car camping, scouts, picnics, hunters, camping gear, wilderness survival kit, 4x4 off-roaders, disaster & emergency kits, humanitarian aid, kayakers or anyone working in the outdoors. 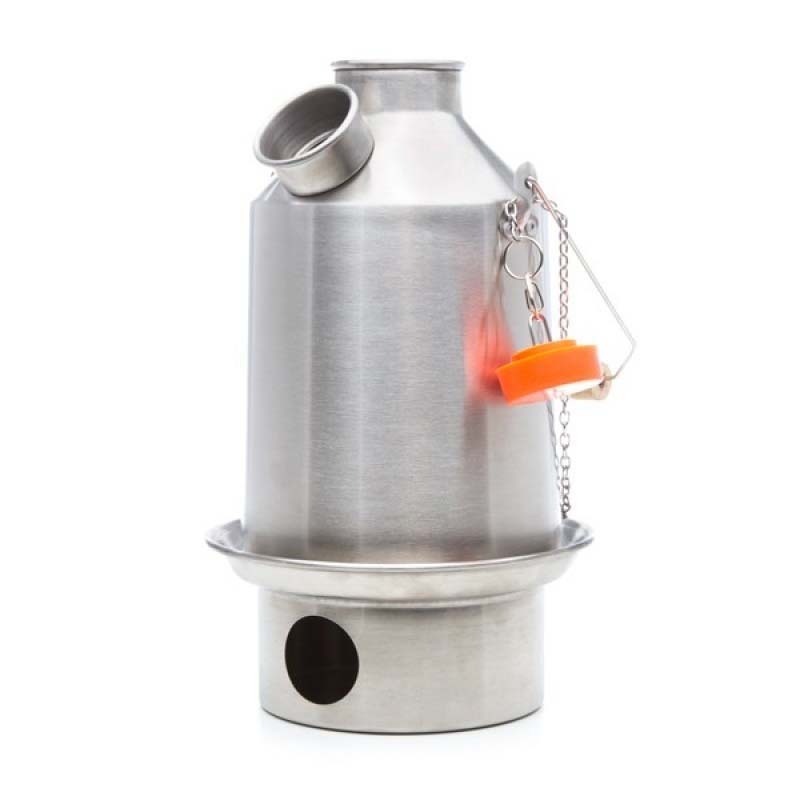 Add our highly popular Hobo Stove, Cook sets, Cups & Plates to turn your Kettle into the Ultimate Camping Cook Stove and Kitchen! Our Pot-support can be used to cook small amounts of food (noodles, rice, oatmeal, re-hydrated food, soup, etc.) over the kettle while your water boils. 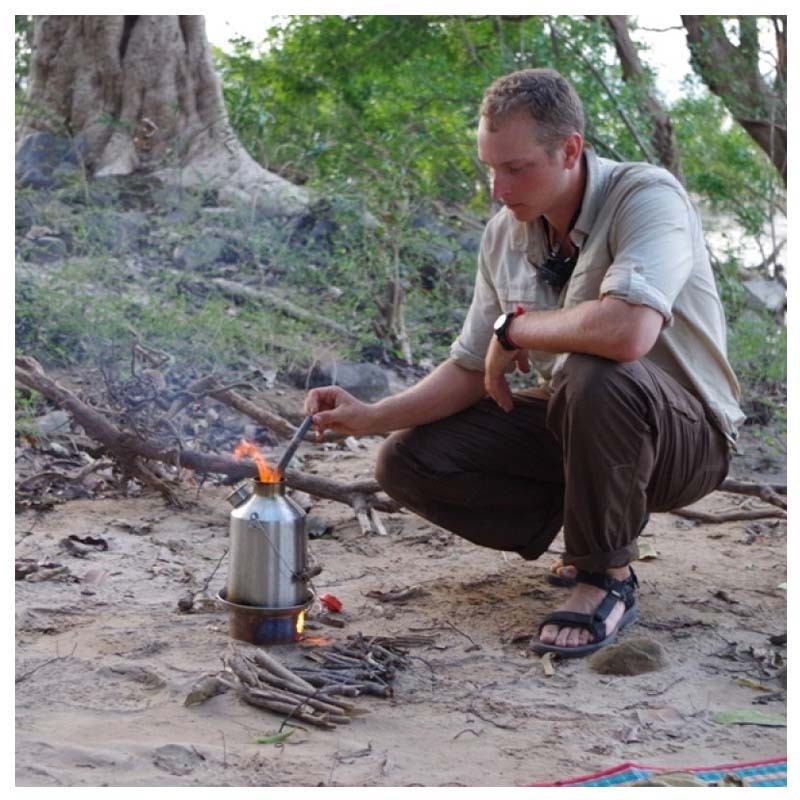 The durable steel fire base inverts up into the bottom of our kettles to make the unit as compact as possible for transport and storage.